Combine cream cheese and cottage cheese in a medium sized mixing bowl and mix well to combine. 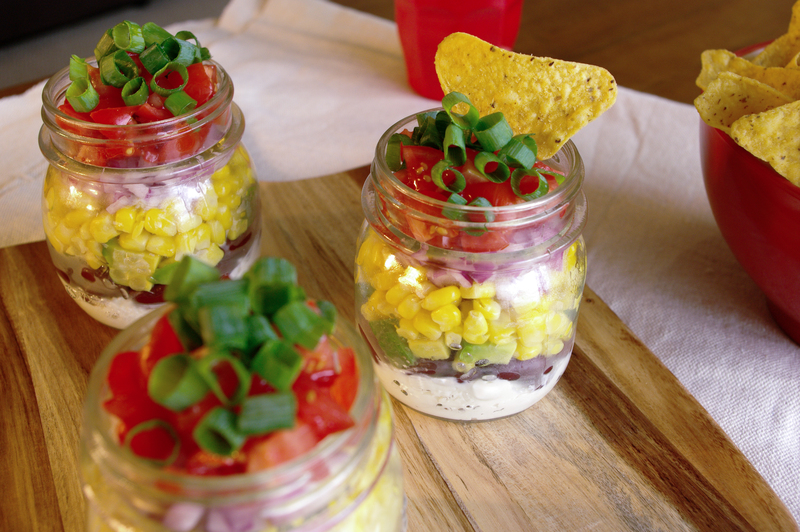 Ensure your glass jars are dry and at room temperature then carefully layer with cheese mix, beans, avocado, McCain Corn Kernals, red onion, tomato and sprinkle with shallots. Tip: if you need to transport your dip to a picnic, BBQ or sporting event simply screw of the lid for spill-free fun!